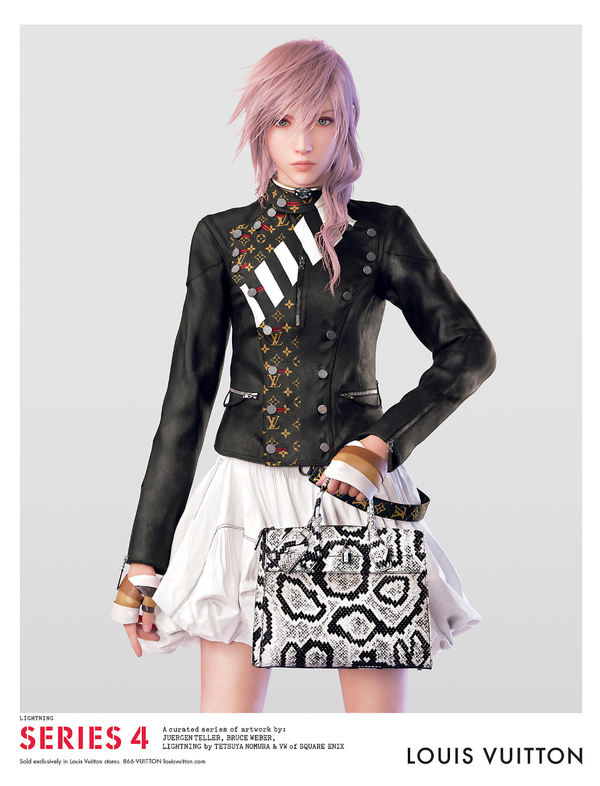 Final Fantasy XIII heroine, Lightning, is now on the runway. She now models for the french fashion company Louis Vutton. 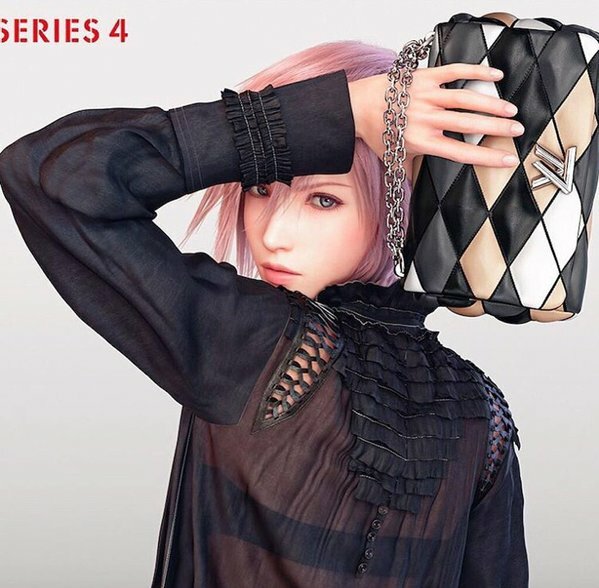 But in all seriousness, Square Enix posted a video of a new collaboration with the famous French fashion house yesterday, demonstrating how alien the concept of a purse is to the heroine of Lightning Returns. This is a promo done by Visual works with Lightning for this company. 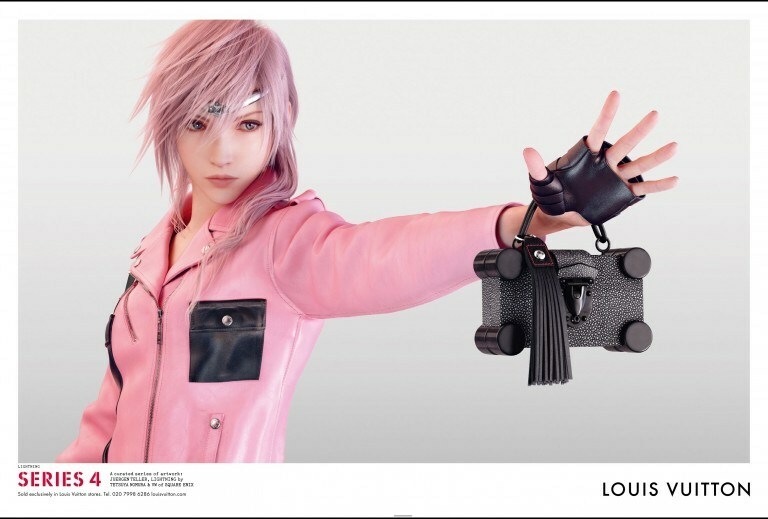 Update 2: Second video showcasing Lightning in Louis Vuitton has now been posted. What do you guys think of this new promotional campaign? Please voice your opinions below. Visual Works always makes cool clips/videos. I don’t really care much about this since obviously it doesn’t concern me, lol. 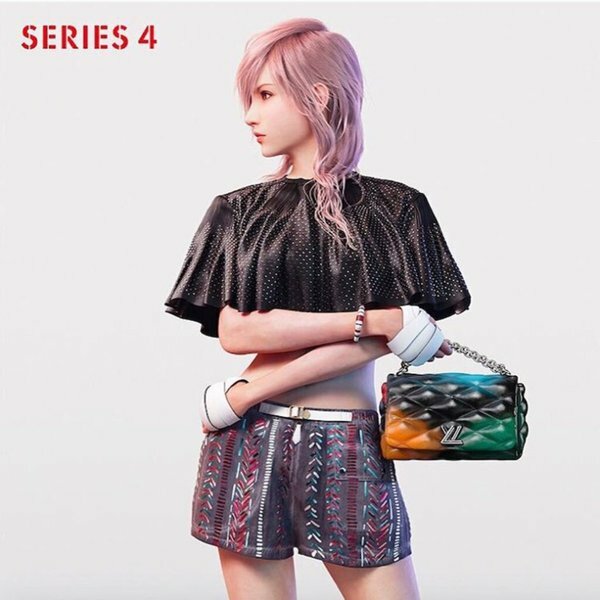 That would be hilarious if that became a bonus schemata and weapon set for the lightning returns on PC; it’s basically just her same animations with a purse in her hands. So this is the second part of Lightning Returns’ ending? I like it very much! 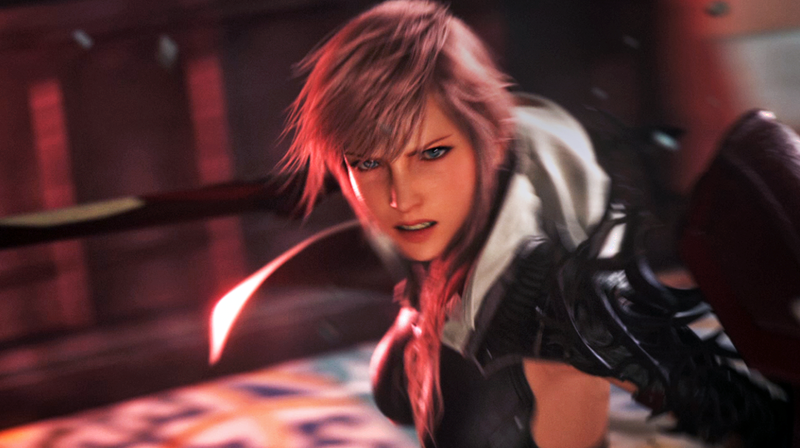 Its cool to see Lightning in new costume. She looks mega beautiful! Goddess gots to find something to do eh? I’m not gonna lie, she really does fit. Man. I thought it wasn’t that serious. This takes weirdness to a whole new level but I’m quite pleased as a Lightning fan. Holy Myself! Yaaaaaaaaaaaassss!!! She’s so beautiful! What an incredibly half-assed article. I want to believe this is due to today being the day after Christmas. Do a little research at least? She does look absolutely beautiful though,. You could say really cute because we’ve never seen her wearing luxury casual clothing before. That sparkle dress for instance looks so good. She actually reminds me of a lady I knew who is in her early 20’s wo was quite determined and never smiled much, BUT when she did, it was really quite something! Perfect for my video background.. HD? I LOOOVEEE that pink jacket. So Fabulous. So beautiful. So blessed! Yaaaaaaaaasss. If they want to do something to bring a smile to fans with 13 stuff, just follow up on Type0 with a fully HD modern PS4 tech game set in the aftermath of that world. Is that gonna happen now that we saw that Ace promotional teaser? Only Toriyama will marry her. Yea, I mean they are in the real world now. I still don’t know exactly what they did to her face in LR, but she looks… different. Not as sleek and slight as in FF13/13-2. I notice the first picture looks very unrealistic. It’s like they just crop her head onto the clothing. Her hair in inside the clothes? Those outfits would’ve been perfect as bonus schemata!! Not a fan of most LV stuff so not too excited. Cool to see though. But is that headband thing she wearing by LV? Because if it is…it’ll be way out of my price range, but at least looks awesome heh. Love the new pic, but I really wish Nomura do different hair styles. The same oh same don’t really work in all fashion attire though. In <3 with these images! Anyone know where to find high resolutions of them? 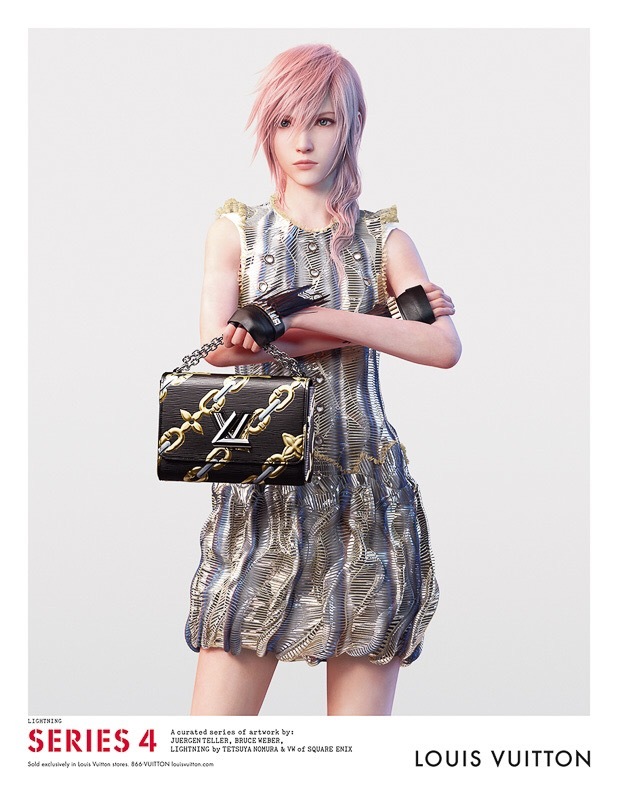 While I love Lightning and she does look gorgeous, I think Luna would have been a more appropriate choice, she lives in a society similar to ours, dress with clothes more akin to our world than FF13 characters, she is a new face for Square Enix and will represent the newest FF.